Our post from October 22 gave a brief history of how we came to be involved in three decades of planning and architecture in Fort Worth, TX. 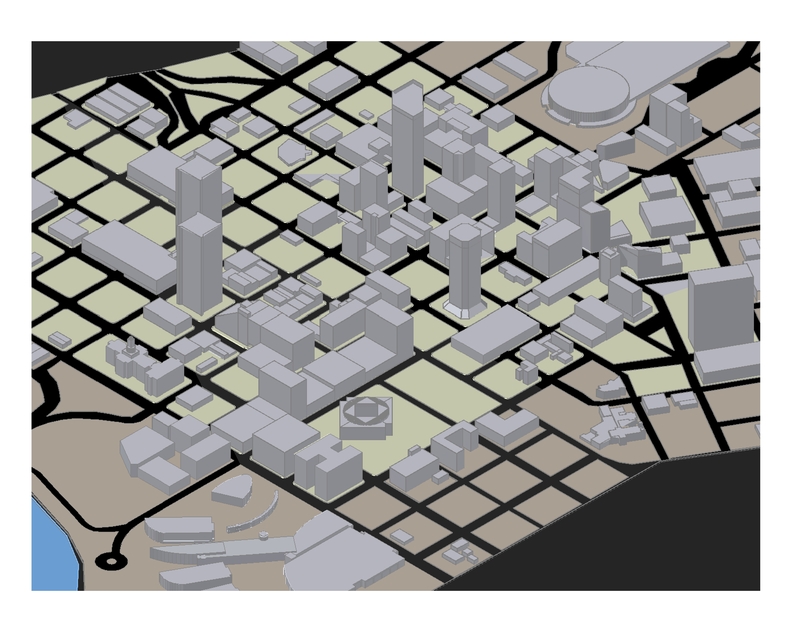 This second installation on our work in Fort Worth delves into some of the planning issues we encountered and provides some background on several of the more important projects that came about and helped spark the renaissance of downtown Fort Worth. Fort Worth’s humble beginnings were not unlike a lot of frontier towns – it started as a military outpost located along a major river before some opportunistic land speculators platted the original blocks and lots and sold them to the town’s earliest settlers. 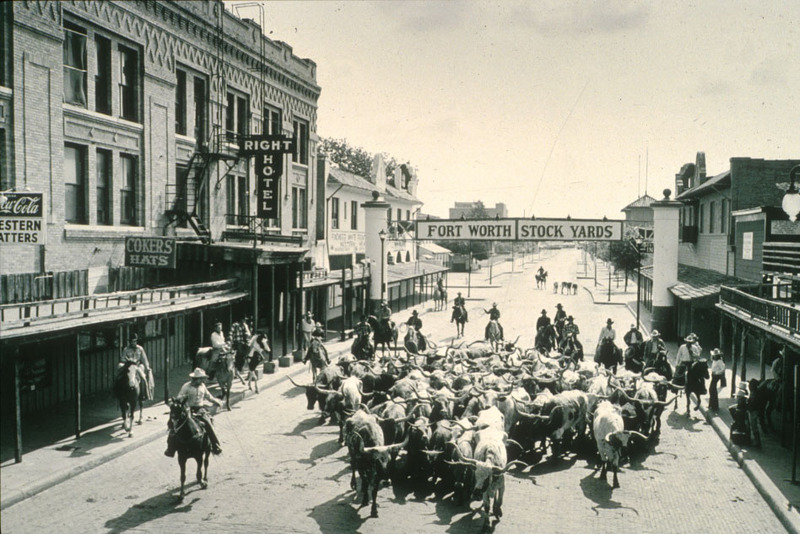 Fort Worth became a stop along the Chisolm Trail and thus a bustling cattle business evolved, bringing the town its first real prosperity and the nickname of “Cowtown”. In 1917, the discovery of oil 90 miles to the west brought about Fort Worth’s second boom. As workers flooded in to work the oil fields, oil companies built the city’s first skyscrapers, and banks and businesses supporting the new industry set up shop in downtown, Cowtown was transformed into a bustling 20th century city. Not unlike many town and cities, the post-WW II period was less kind to downtown Fort Worth. The GI Bill provided low-interest mortgages, making homeownership more attainable and helping to spawn the suburbs at the expense of urban areas. The subsequent Interstate Highway Act accelerated the growth of the suburbs and further accelerated flight from downtown. Residents moved out of downtown and so did many businesses. 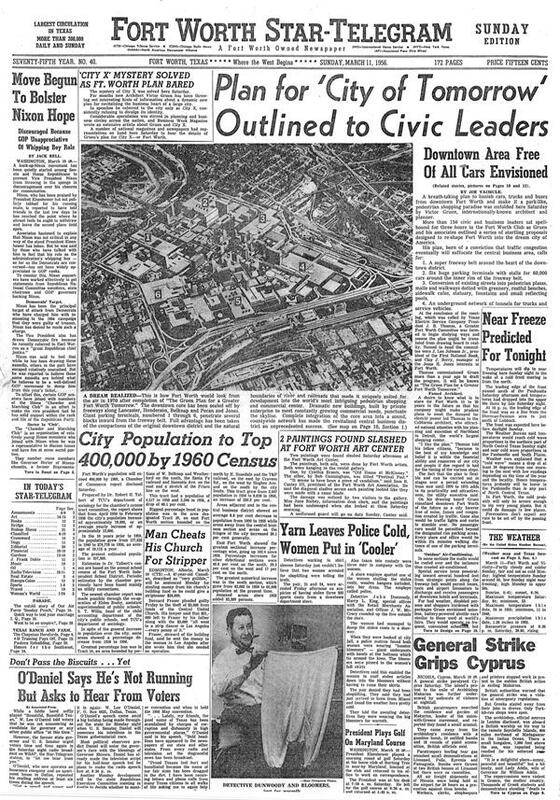 To address downtown Fort Worth’s ever worsening decline, city officials retained the brightest planning minds of the time, who made numerous recommendations, the most outlandish of which was proposed by Victor Gruen, the father of the American indoor shopping mall. 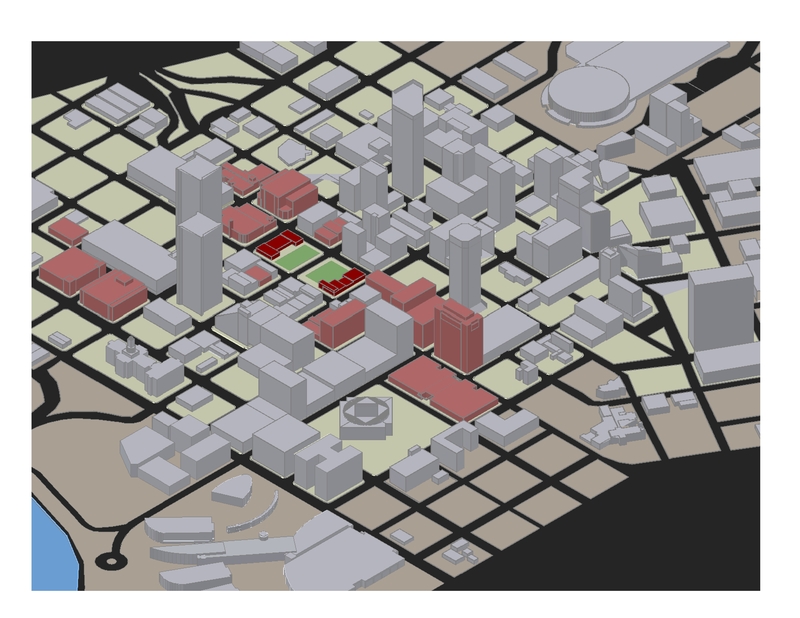 Gruen’s plan ringed downtown with a series of massive parking garages fed directly by freeways. Cars and trucks would be banned from the streets and downtown would become a pedestrian paradise – or so it was envisioned. Such a mega-pedestrian mall would certainly have doomed downtown, as evidenced by the number of downtown Main Streets across the country that were “malled” in the 60’s and 70’s and become huge sources of crime and boarded up shop fronts. Fortunately, Gruen’s plan proved too expensive and wasn’t implemented. None the less, urban renewal marched forward and numerous blocks were leveled for redevelopment – much of which never happened. Entire city blocks were paved over and converted to parking lots. A handful of glass high-rise office buildings were erected, as was an indoor shopping mall that occupied three full city-blocks and literally severed a portion of downtown from itself. To serve all these new developments, along came some rather sizable, multi-block parking garages that spanned over streets and were connected to all this new real estate with sky-bridges. In a kind of bizarre, inverse Gruen-plan, workers, shoppers and visitors could now come and go from downtown and never set foot on the streets – and this plan WAS built. Fast forward to the mid-1980’s. David Schwarz meeting with a client at their offices in one of the City Center towers. They break to go out for lunch. Stepping off the elevator at the lobby, the client turns to head for the parking garage and David turns the opposite way, heading toward the front door. The client calls to David, “where are you going?” David responds that he was walking to their lunch appointment a couple blocks away. The client replied to David that if was going to do work in Texas, the first thing he needed to learn was that “Texans don’t walk” – they drive. That exchange stuck with David and he soon came to realize that the reason Texans don’t walk (to get to places that is) is that planners and architects hadn’t given them any places worth walking. This realization became a key underpinning to the downtown Fort Worth planning study Ed Bass hired us to perform between 1988 and 1989. 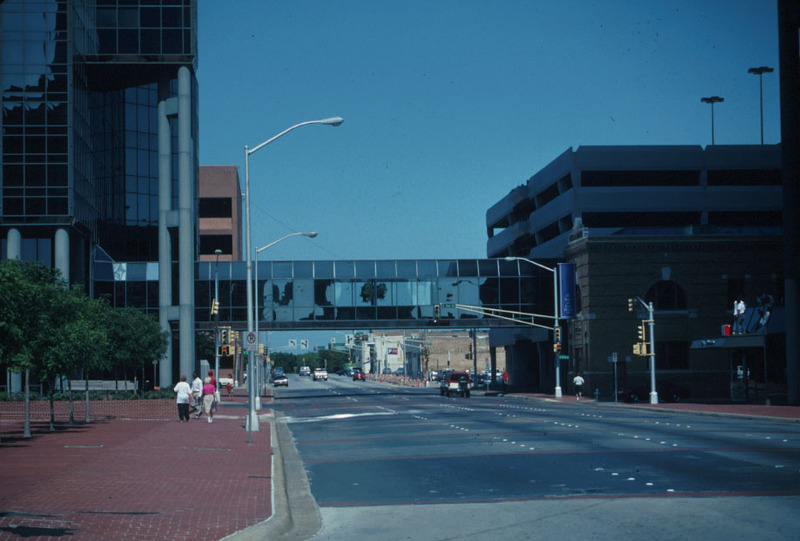 Downtown Fort Worth is bounded by the forces of nature – the Trinity River – on the north and west and the forces of mankind’s progress – Interstate 30 and the Union Pacific and Burlington Northern-Santa Fee railroad lines – on the south and east. Our study boundaries covered the 120 or so blocks that bracket Main Street between the historic Courthouse (overlooking the Trinity River) and the City’s 60’s- era convention center. We began the study by creating a series of overlays of downtown that mapped a range of issues related to the physical environment. One of the first, and most telling, was an overlay showing that nearly 50% of the blocks in downtown were either vacant lots or had less than half of their area occupied by buildings. One particularly informative series of overlays mapped the locations of conditions that discouraged walking. These included those multi-block parking garages that spanned a street for an entire block, unfriendly pedestrian edges such as the numerous vacant and partially-built blocks, buildings that sat too far back from the sidewalk and presented blank walls or uninviting edges (e.g. parking garages) along the street. We developed a system of street classifications that identified those streets that were continuous through the downtown versus those that were physically bifurcated by combined blocks or visually interrupted by buildings and garages spanning over them. 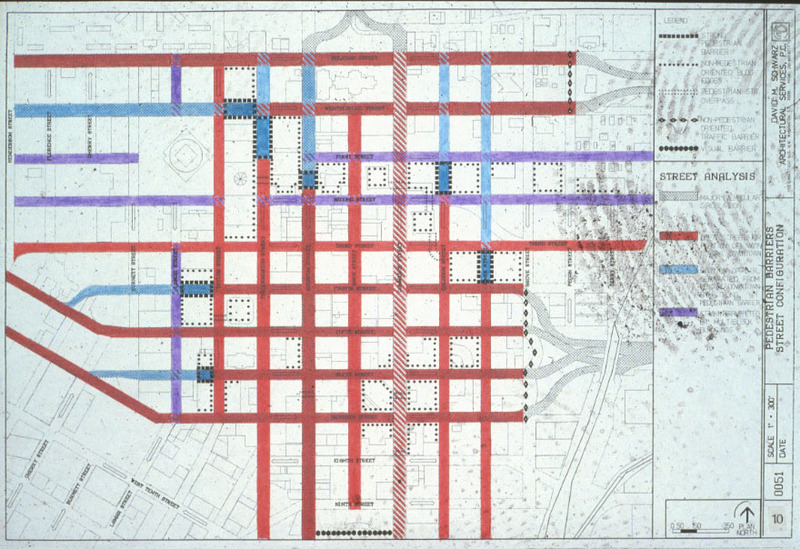 Other street classifications included one-way versus two-way circulation and traffic volume (high-medium-low). One of the more significant barriers to the walking environment was the aforementioned shopping mall which was part of the Tandy Center, the corporate headquarters for the Tandy Corporation (a leather goods company that purchased Radio Shack in 1963). The Tandy Center hit the trifecta of anti-pedestrianism. It combined three city blocks, closing two streets and cutting off 1st and 2nd streets in the heart of downtown. Parking decks spanned over and darkened not just one street, but two, and its inward-oriented stores (and an ice rink) turned their backs on the street with large expanses of reinforced concrete walls lining the surrounding sidewalks. 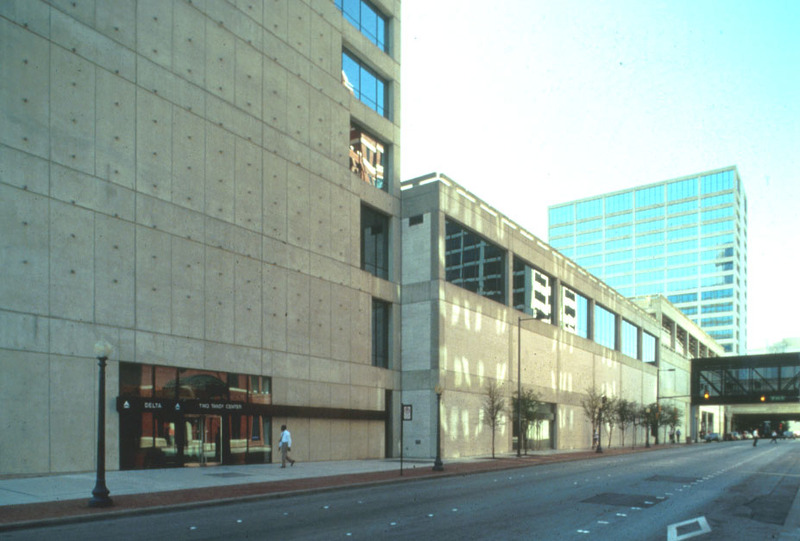 In addition, and as a kind of ode to Gruen’s plan to ring downtown with a series of massive parking decks, a private, underground subway, which operated from 1963 to 2002, connected the Tandy Center to a large parking lot several blocks away at the edge of downtown. Our analysis served to document on paper what could best be experienced by standing downtown after 5 PM – the streets were deserted, at least in terms of pedestrians. Following our analysis, we developed a series of recommendations to make downtown a more viable neighborhood. As David Schwarz succinctly expressed it, “our goal was to create a pleasant walking experience around all four sides of a block”. We identified a 36-block area that extended three blocks to the east and west of Main Street as the core area for redevelopment. Within this core, the optimal locations for future new uses were identified, including new retail, residential, arts and entertainment as well as a place for a significant public open space. We also suggested which of our client’s properties were not essential to the plan and could be sold, as well as those lots which they did not own that would be critical to the plan’s success and needed to be acquired. The first new project came quickly on the heels of our study – a mixed-use building occupying three-quarters of a block (opposite the Tandy Center) named Sundance West. 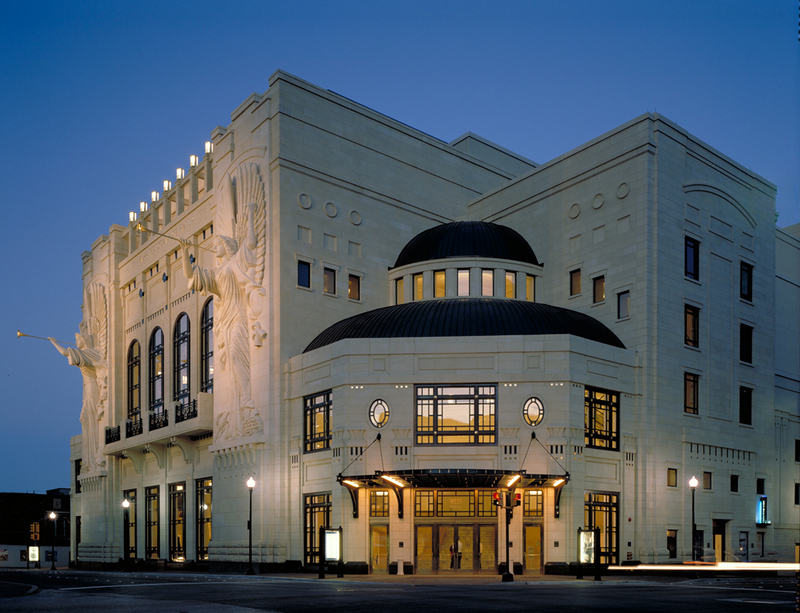 It had street-facing shops and restaurants at the ground level, an 11-screen AMC multiplex cinema on the second and third floors and 8 floors of residential apartments – the first residential space to be built in downtown Fort Worth in the 20th Century. 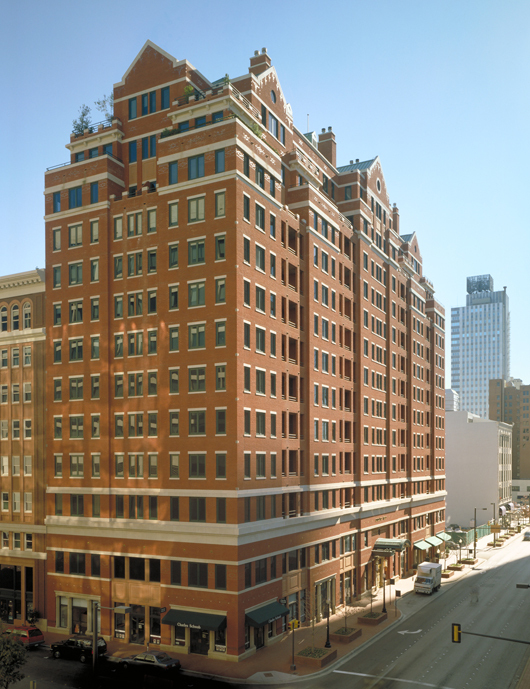 The success of the residential units, which were fully leased before the building even started construction, led to the conversion of the former Sanger Department Store, one block away, into loft-apartments. The success of the cinema paved the way for a second project, Sundance East, that provided AMC with nine more screens along with three restaurants, a nightclub, a Barnes & Noble bookstore and office space. With the completion of these two projects, downtown was starting to see a noticeable uptick in the number of folks on the street, especially after 5 o’clock. While Sundance East was in the works, we were planning a new 2,100-seat performing arts center across the street – The Nancy Lee and Perry R. Bass Performance Hall. Its completion in 1998 brought more people downtown in the evenings and on weekends, filling up the sidewalks and the restaurants. Equally important, the location of such a high profile venue in downtown made the symbolic statement that downtown Fort Worth was officially on the rise. Success breeds success, and so other projects ensued. New office buildings, the Chase Bank Building and The Carnegie filled in two more empty blocks, providing additional street-enlivening restaurants and shops, and further reconnecting parts of downtown with itself. In the midst of all this work we were commissioned to design an addition to the public library. That circa 1970’s building had been built underground as a cost saving measure so the addition, constructed this time at street level, built out two more blocks and gave this important downtown institution a public face. Other developers were witnessing the efforts and successes of these projects and soon got in on the act. New residential projects began springing up within and just beyond the edges of our study area. Several new hotels located to downtown. To the south of the study area the City expanded their convention center and to the north the County built a new family courthouse for which we were retained as the design architect. Across from the courthouse the County built a new community college complex and is currently building a new civil courts building. As we look back on the past two and a half decades, we’re amazed at the transformation that has occurred in Fort Worth and we feel fortunate to have been a part of it. 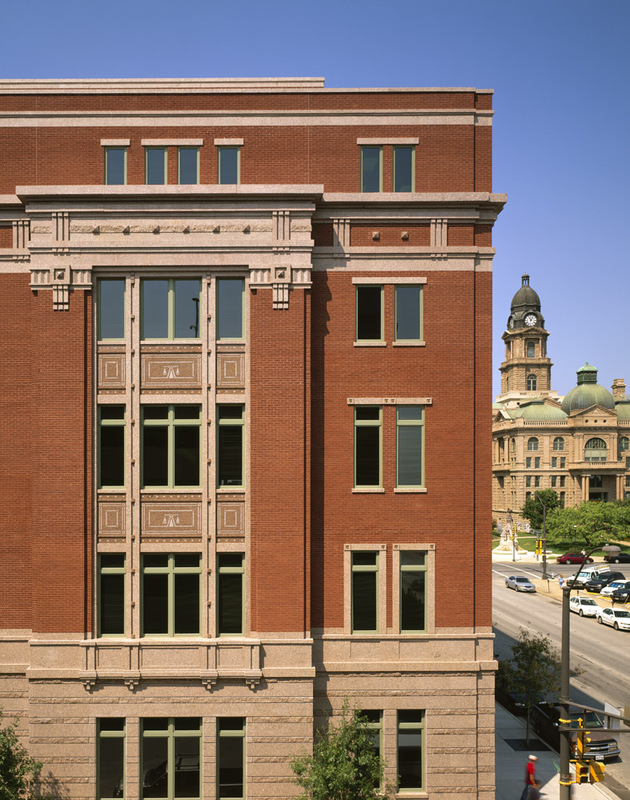 In 2010, the Urban Land Institute honored Sundance Square with a Global Award for Excellence in recognition of the transformative impact the plan and development strategy have had on Fort Worth. 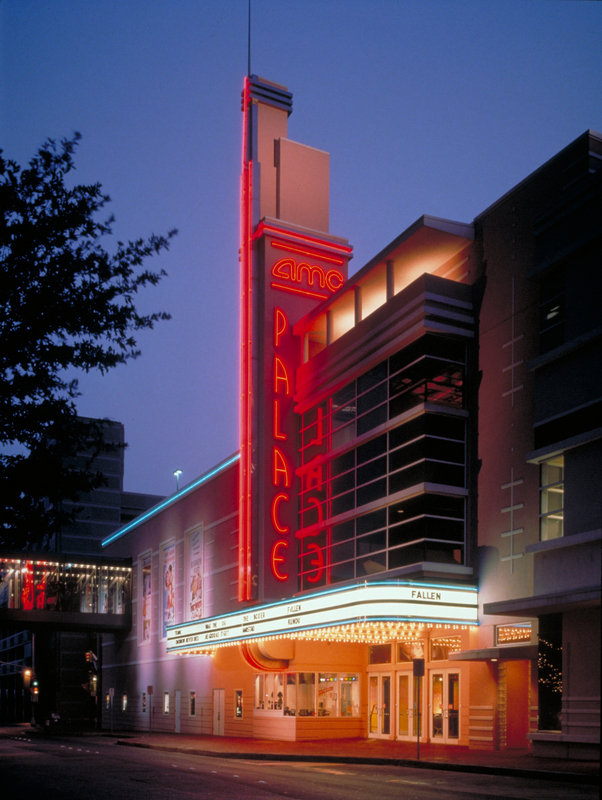 The commitment to downtown of both private developers and city officials, and, in particular, the vision and efforts of Ed Bass and Sundance Square, demonstrate that our cities and downtowns, no matter how blighted, can be brought back and recast into successful, vibrant, and WALKABLE neighborhoods. As we approach the grand opening of Sundance Square next Friday, look for additional Parchment posts on our 25 years of planning and details on the newest projects in downtown. And check out this great video on the history of development in downtown, with special commentary from Ed Bass and David Schwarz. I love these past few articles. DMSAS has become my favorite architect, Sundance is beautiful, can’t compliment it enough. I do want to know though- Is there plans in place to start working on the buildings shown along 2nd and 3rd to the East of the Paul Rudolph towers? And are there any other lots that have been looked into for potential developments, that aren’t show? For example, early plans do not show buildings like the Carnegie and Chase building. The full lot across from “The Tower” in particular interests me, I know it is owned by Sundance. Can’t wait, just 7 more days for the Plaza to open!